Is the sun playing badass again? Worry not. We’ve got the right fix. 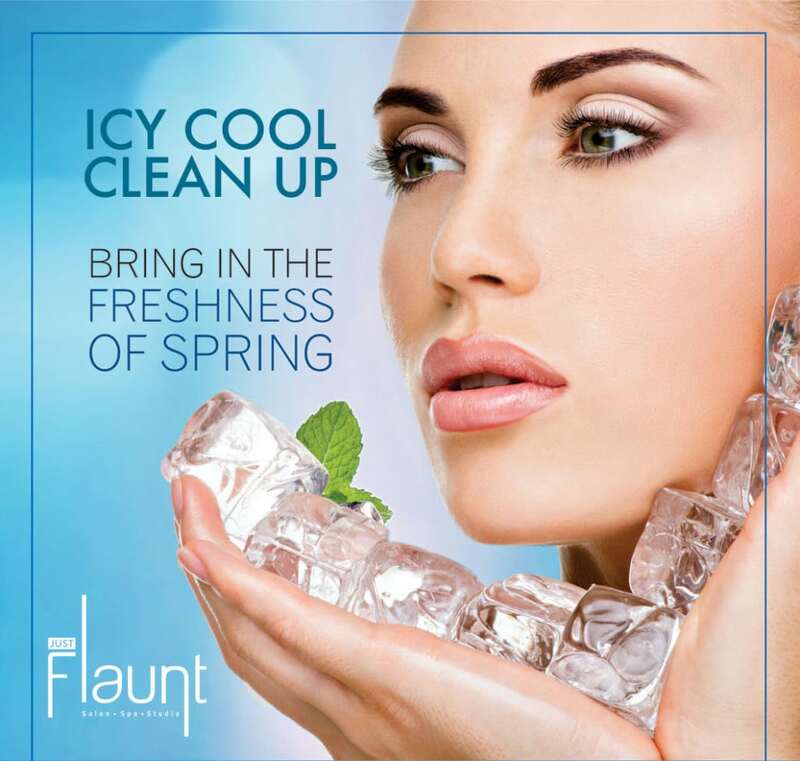 It’s the best clean up for Summer – Icy Cool Face Clean Up. It’s a brand new Face Clean Up for summers this year. The season brings along sweat, heat, rashes, acne and their marks. Most of these are caused when the heat teams up with dust & pollution that gets caught into our pores. It is very difficult to wash them away with our usual cleansing routine. The all new Icy Cool Face Clean Up to keep you cool… really cool. This brand new Face Clean Up for summers is definitely going to leave you refreshed and ready to beat the heat. How different is this Icy Cool Face Clean Up from the others? Well, a lot. At Just Flaunt Salon, we ensure to come up with unique services for every season. Right from the products to the process, it’s more of a therapy for the face. Specially, in this harsh heat. Therefore, this service mostly concentrates on the problems faced by the most of us in summers. A clean up is always a great idea. But the art is in choosing the right one for the season. And our Icy Cool Face Clean Up is definitely a hands-down winner this season.